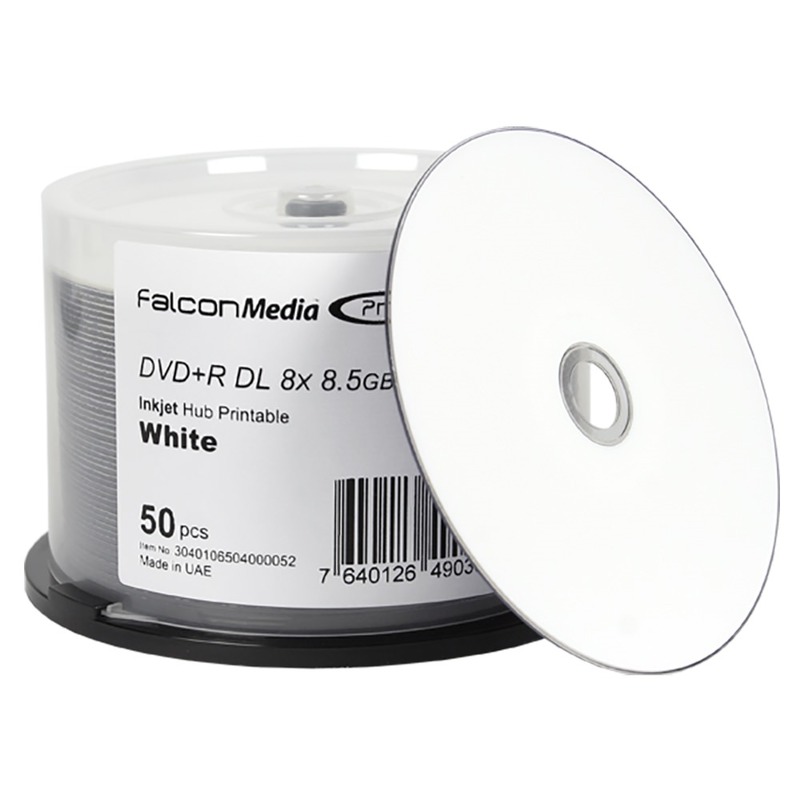 If you data is too large to fit on a standard DVD Disc, then choose Falcon’s Media Pro DVD+R DL White Inkjet dual layer disc. It lets you burn up to 8X speeds and add twice the usual amount of data to a single disc. 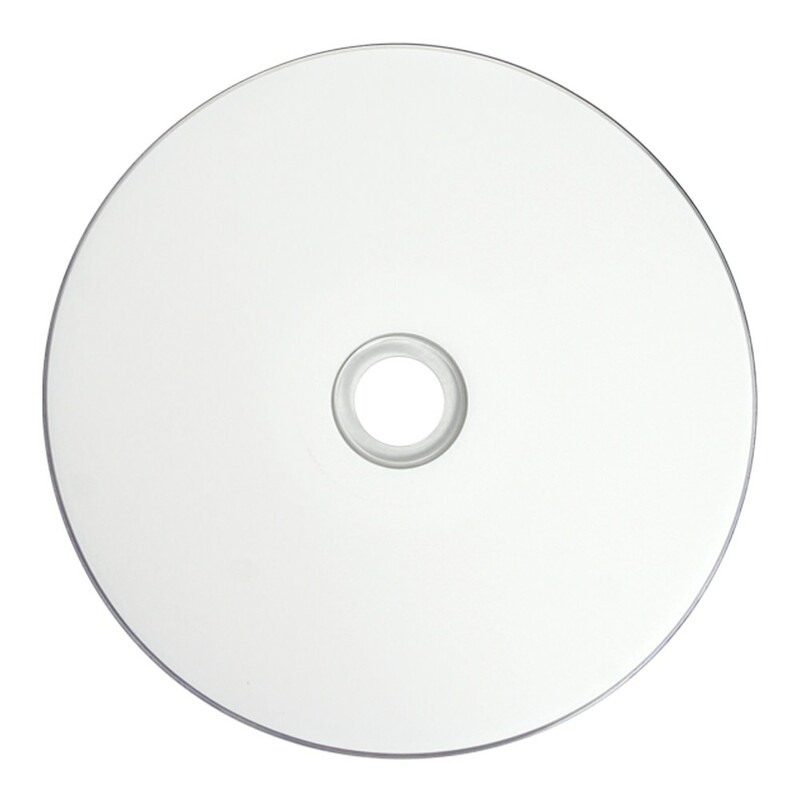 The inkjet printing process will produce a beautiful disc label/art on top of its crisp white surface. 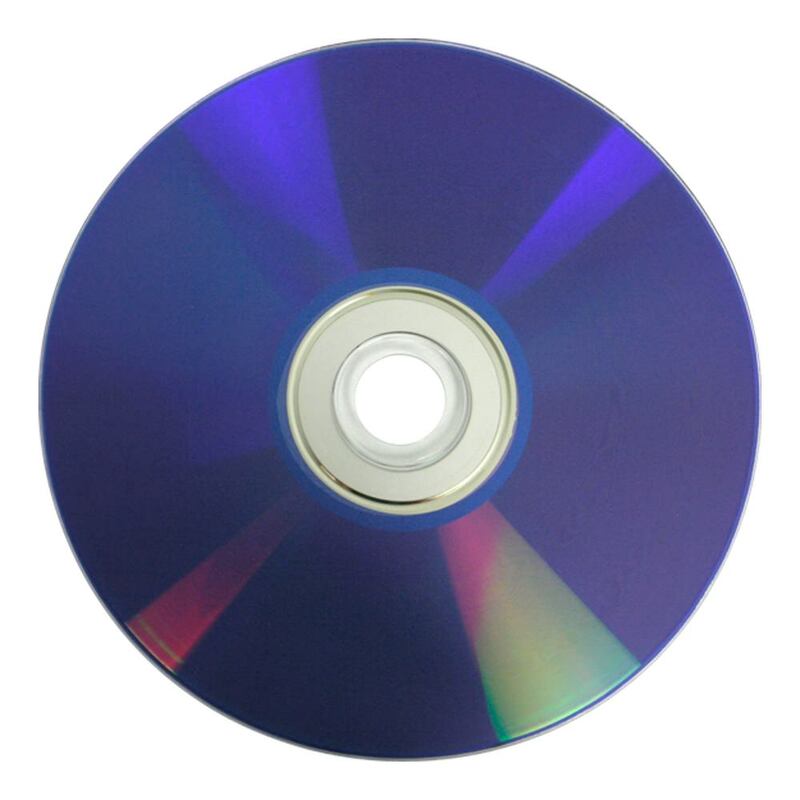 Double layer printable DVDs are your answer to large, normally unwieldy media projects. Better yet, they’re a budget lover’s dream. Choose Falcon Media for performance without compromise. These dual layer DVD+R discs feature 8.5GB of storage capacity, which is great for those extended length video projects or for large data backups. Of course, recording all of that information won't take long thanks to the 8X maximum burn speed! Finally, the white inkjet hub printable surface is excellent for direct on-disc printing with your inkjet disc printer or publisher.